If you’re planning to create a promo video for your fitness business, you should know that one video just won’t cut it anymore. People are becoming less patient and attention spans are getting shorter, so it makes no sense to try and cram everything about your business into one long video. 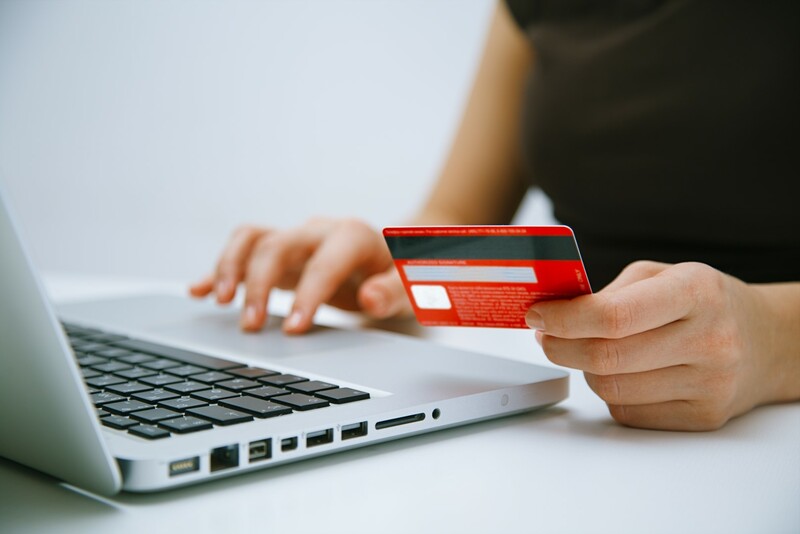 The customer journey is also becoming more complicated and less predictable because people can discover your business through different online and offline channels. The only way to be ready to catch all leads is with a video strategy. A series of videos that complement your buyers’ journey and deliver the right content to the right customer at the right time. Making it easy for your prospects to learn more about your products and services on their terms is the secret to engagement and a speedier sales process. You can’t do that with one video. This is why a video strategy is so important in the sales funnel. Specifically engineered videos are useful tools that provide only the necessary information and can be consumed quickly. Used intelligently, videos can make businesses more efficient. They can be used to answer common question and overcome objections – events that would normally demand human intervention and be a drain on time and resources. So what constitutes a basic video strategy for most fitness businesses? An explainer video sit at the top of your sales funnel. It’s a high quality video that has a long lifespan, so it demands some investment. Don’t cut corners of your ideal customer will judge you. It’s usually the first video anyone sees about your business, so take the time to plan this video correctly and give it the attention that it deserves. There’s no perfect length for an explainer video. It just needs to be as long as necessary to deliver information quickly and efficiently. Production quality and messaging matters. This could be the first meaningful interaction a person has with your brand, so you don’t want to disappoint them with a cheap looking video that doesn’t clearly explain how you can help them. An explainer video isn’t a promo video, business highlight showreel or vanity video. It must present an overview of your business and explain the benefits and solutions that your products and services provide. A well produced video will increase the time spent on your website and encourage visitors to learn more and watch more videos. Remember, longer website visits can help to improve your Google ranking so a lot rides on you getting this video right! Most fitness businesses have multiple products or services so they each need their own video. This makes it easier for your potential customers dive deeper into your products and services and watch only the videos that matter to them. This demonstrates that you understand your customers and want to make it easier for them to learn more. Bundling all your services together into one video assumes your audience must be interested in everything you offer and makes the mistake of assuming they have the patience to sit though a one-size-fits-all video. Individual product videos are more versatile marketing assets and provide valuable audience insights. Watch time analytics and view count can help you to quickly identify services areas that are poor performing or low in demand. People who watch these videos may be problem unaware, problem aware or solution aware. So focusing on the features of your service in these videos is not enough. Make it a no-brainer for them to see your business as the solution by acknowledging and agitating their problem before providing your solution. Tap into their emotional need to excite them to be a customer. Social proof accelerates the conversion process but only when used at the right stage of the customer journey. Strategically placed testimonial videos can significantly improve sales, but don’t be tempted to use them too early or you’ll simply waste your most powerful assets. Testimonial videos should stand the test of time, so they need to be engaging, fast paced and evoke an emotional response to be effective. The most effective testimonial videos tell a story that prospects can relate to. You’ve probably heard that people make buying decisions based on emotion, and then they justify them with logic. So testimonial videos need to be mini stories that describe a problem, the solution and the outcome/benefits. Low production value iPhone clips have a place in your marketing strategy, but not at the expense of a sale. Don’t rush try and extract praise from reluctant, camera shy customers pushed up against a wall. Instead be patient and hunt down your raving fans that will shout about you from the roof tops. Q & A videos are quick to produce because every business should already have a list of the most common questions prospects have about a product or service. These videos need to be subject or problem specific, so it’s easy for your audience to find solutions quickly. The people hunting for these videos may already be customers of yours so it pays to keep them happy. Freeing up your human resources and ensuring consistent communication and messaging are the strengths of Q & A videos. They’re inexpensive to produce but their benefits are immeasurably valuable. A disproportional amount of attention is often focused on attracting new customers with video, but at any time their maybe a number of customers stuck in your sales funnel. Just like Q & A videos you should already have a good idea of common objections you encounter during your sales process. Removing resistance with short succinct videos can grease the gears of your sales machine. Objections can cause prospects to lose momentum through the customer journey, but sometimes all they need is a nudge to overcome their objection to set them on their way again. Intercepting customer journeys with the right video at the right time is a low cost way to significantly improve conversion rates, and better still with planning you can automate the process! 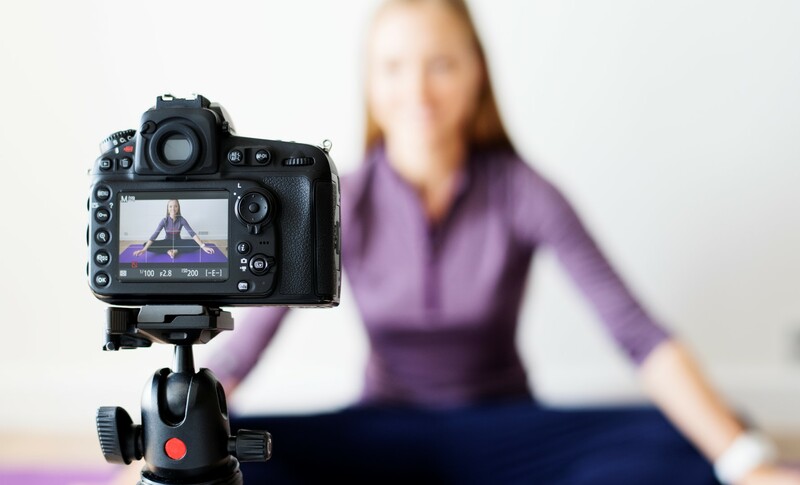 Are you ready to create a video strategy for your fitness business to improve sales? Learn how we can help you here. Virtual fitness classes are becoming more and more popular with current fitness enthusiasts and new starters. Here are 11 reasons why fitness businesses need to start creating original virtual fitness classes to give them the advantage in their local area! Giving current members access to online workouts allows them to stay motivated and on track with their training. Virtual classes can help them stay on track when they go on holiday or are away on business. Helping members to workout wherever they are means they stay loyal to you and reinforcing relationships so they don’t feel like they’re behind when they return to training. It’s easy to reversion fitness videos into shorter free workouts and clips for social media. It’s then easy to send traffic to consume the full-length content because it’s the content they most value! More people are working out at home than ever before. Research suggests 62% of gym and studio members do some sort of exercise at home with fitness apps or use digital platforms. 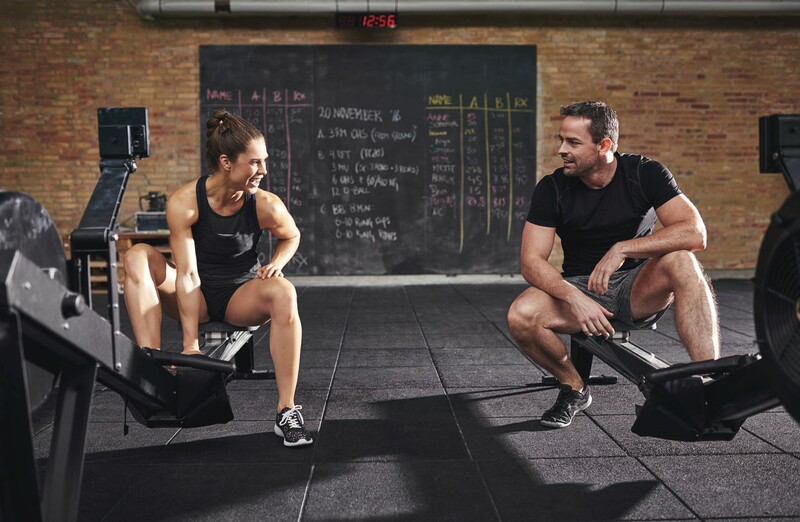 Your members could be looking for a convenient solution to train more with you. Virtual workouts advertise your facility 24/7 if you publish content on platforms like Instagram TV and YouTube. Optimising your content for search engines can help people in your local area find your business. Producing high-quality videos is cheap and easy if you have your own camera and studio space. You don’t have to hire a space to make your videos and you can build a library of content quickly. Workouts don’t have to be long so you can film them whenever the studio is not being used. Over time your workout videos will increase in views and watch time. Use these statistics and dive into the analytics to get a better understanding of your audience and create more of the content that’s most popular. Showing participants in your videos helps to reassure others that the program is suitable for them too. They may even recognise a friend participating and your loyal followers will be keen to share with their friends any video content they appear in. Allowing new prospects the opportunity to try before they visit your facility is great marketing. It’s not heavy on your resources or demanding of your staff’s time. You’re providing useful content that they can build into their routine so they want more. Exercising remotely also helps them to build their confidence before they attend in person. Free videos serve as a gateway to a premium content and possible additional revenue stream. Allowing members to upgrade their memberships to include access to your virtual workouts is a quick way of increasing profits. Allow your members to downgrade to a virtual membership if they need to take a break. Keeping your members connected to your brand and giving them a low cost option increases the likelihood that they’ll come back. Offer free trials to of your virtual workouts to loyal members so they feel rewarded and appreciated for their efforts. Virtual fitness classes provide an opportunity for you to partner with other local businesses. You could offer advertising space in your videos to clothing, equipment or food brands. Turn your instructors into local celebrities! Class participants love their instructors and instructors love Instagram! Invest in your immediate talent and they’ll be proud to shout about their classes and bring in new business! Members will relocate to other facilities to follow their favourite instructors. So having an exclusive video library of workouts from your top instructors could appease them in the event of your top instructors leaving. Getting new members to visit again as soon as possible increases their membership lifetime. Emailing them links to stretching videos they can do at home helps them to recover faster. This lengthens the customer journey; connects them to your brand for longer; and shows that you care. We’re living in the age of content marketing, so I’m always surprised when I attend an industry event and see the keynote speakers aren’t filming their presentations. Why wouldn’t you want to capture your presentation on video so you can use it for marketing to reach even more people? Surely that’s why you’re speaking in the first place? I realize that some presenter give the same talks at different places, so they may already have filmed their appearance and have no intention of sharing their content on YouTube until the ‘tour’ has ended. For others, the reason must come down to cost, fear of the camera or lack of business acumen. The process of turning a presentation into a valuable package of media content, of course, depends on the quality of the content. I’m sure just like myself you’re sat through a generous share of awful presentations. You know the ones where the content bears no relevance to the title; they’re absent of structure and enthusiasm and they’re just one big sales pitch. 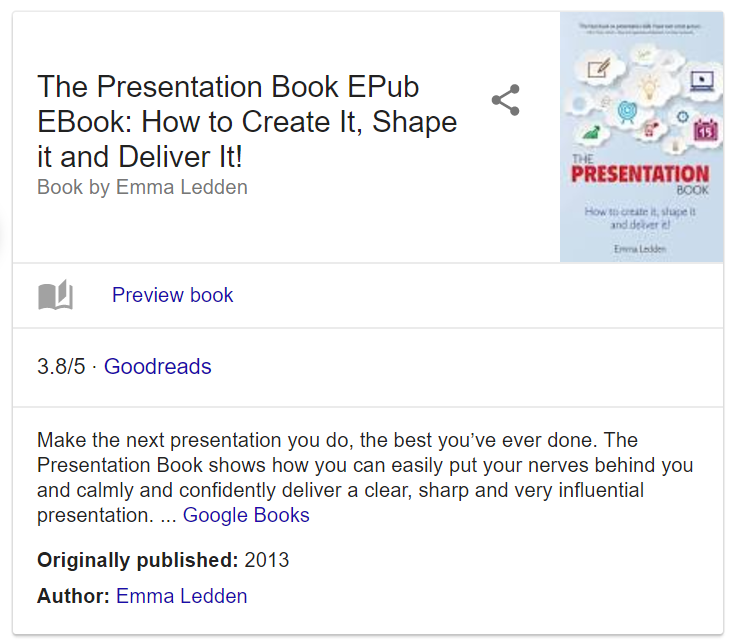 If you’re not an experienced presenter I recommend buying The Presentation Book by Emma Leddon. You’ll learn how to structure a presentation properly to engage with your audience effectively and then it’s easy to edit into useful video content. Imagine I’ve just done a presentation on “The 10 Essential Videos Every Gym Should Make For Marketing Purposes”. Besides uploading the full-length video to YouTube, I can easily chop it into ten 2-3 minute clips, one video for each of the ten items in my presentation. If I design a unique series of thumbnail images for my videos, add good metadata and upload them to a playlist, I’m publishing them in the best way for people to find and recognize more of my content. With a little further editing, I can create shorter versions of these clips for Instagram, so now I have 20 pieces of new content. Take all the highlights from your presentation and create a montage. Set this to music with some graphics and you can make good content great. If the audio from your presentation is good you can create an animated infographic or use the full presentation audio in a podcast. Simply record a brief introduction and a conclusion to the piece and you’re done. Let’s say at the end of my presentation I had 10 minutes of questions in which I answered different 3 questions in full. Of course, we can turn each one of these Q&As into videos, and anyone searching for answers to similar questions can learn from my videos. I can use these videos to offer more value in my newsletters and I can turn quotes into animated videos or memes. Sometimes thinking of a punchy title for your latest video blog can be tricky. You want to create something that’s going to attract a new audience and keeps your regular followers engaged. So how can you consistently create compelling titles that encourage people to watch your videos? Easy. Use the 3 ‘C’s as a guide to decide upon the best title structure for your video. Is your video informative? Are you sharing your knowledge and trying to educate your audience? Then use a title that focuses on the power of the content you’re sharing. – You know what you’re going to get when you watch this video so it’s an easy decision to make for anyone interested in strength training or kettlebells. – This video would clearly appear to vegetarians looking for post workout meal inspiration. In both of these examples, you’ll notice the main keywords reveal the content of the video and appear early in the title which helps to rank them in search. Titles which provoke curiosity play on the idea that you’re lacking in knowledge in an area that’s important to you and this is your opportunity to become educated. They bait you to click to find out more and they’re hard to resist because if you ignore it you’ll always have a gap in your knowledge. – What’s wrong with these exercises and why are they bad for women? Am I doing the wrong type of workouts with my female clients? You can see how a post like this can be hard to ignore if you’re a personal trainer who has female clients. – Once again the target here is the vegetarian bodybuilder and striking fear into their nutritional habits. Could you resist this title or would you be worried that your Quorn burger is not your best friend after all? The final ‘C’ stands for controversial. Everyone loves a good rant or discussion in the world of health and fitness. There’s no shortage of willing participants keen to share their opinions on the latest research or scientific study. So if you want people to engage with your videos then this could be one of the quickest ways to build up your comments, just don’t expect everyone to agree with you and watch out for the trolls! These kinds of titles are sensationalist and tabloid in style. They’re vague and provocative and promote unsubstantiated claims the present grounds for discussion…and argument, of course. Creating a video for your fitness business, product or service can be stressful and overwhelming especially if you’ve never done it before. Without a clear understanding of the process, it can appear complicated, mysterious and expensive. So what’s the secret to saving money on video production? When it comes to video production you’re paying for three things: time, resources and expertise. So the more efficient you can be, the more money you’ll save. The production process isn’t complicated, but if they’re not planned correctly they can cost you more money as they become inefficient, frustrating to manage and take longer than planned to complete. Manage projects effectively to create more content in less time and make fewer mistakes. The video production process is actually pretty simple and it’s easily explained by the four ‘P’s of production. Let’s dive a little deeper into each of these to understand more about each stage. The aim of pre-production is to create a project brief that clearly explains the concept and purpose of your video(s). With the help of a video production company, your objective is to plan how your project will be filmed and edited. You can’t get an accurate quote, or work out a realistic timeframe for your project without creating a detailed plan. Everything you do at this stage helps to make your project run smoothly and reduces the likelihood of complications that could lead to additional charges. Crew and equipment costs make filming the most expensive stage, so plan this stage well to keep it as short as possible. Shot lists, interview questions, and locations for filming should all been prepared in pre-production, so filming is efficient and time is spent maximizing content acquisition and getting more done. This is the stage after filming when the footage is edited to create your video(s). It’s also your chance to feedback comments and make changes. Storyboards developed in pre-production and research of similar videos for inspiration during planning can help to turn around projects quickly in the correct style. Music, graphics, voice-overs, special effects, and sound effects are all added in post-production, so if you need to make changes to any of these creative elements in the future you will need to edit the original project. How are you going to reach your target audience with your video? Are you creating a DVD workout or a social media promo video for YouTube? Where you publish your videos can influence how they are filmed and edited. If you’re planning to release DVD workout, post production can take longer to accommodate DVD menu design, audio mixing and disk testing. If you’re creating a collection of product promos for online and social media advertising you need to allow more time in post production to create different versions of the same video for different platforms. Now, can you see how understanding the production process can help you save money on video production? Good planning allows you to get accurate quotes for professional video production, manage projects with confidence and produce videos that always meet your requirements!